Poor snake. This slithery Stimson’s Python somehow managed to shed its skin completely within itself. The tail, oddly enough, finished shedding inside the mouth of the snake, forming a perfect Ouroboros-style circle that unfortunately trapped the snake inside of its old skin. 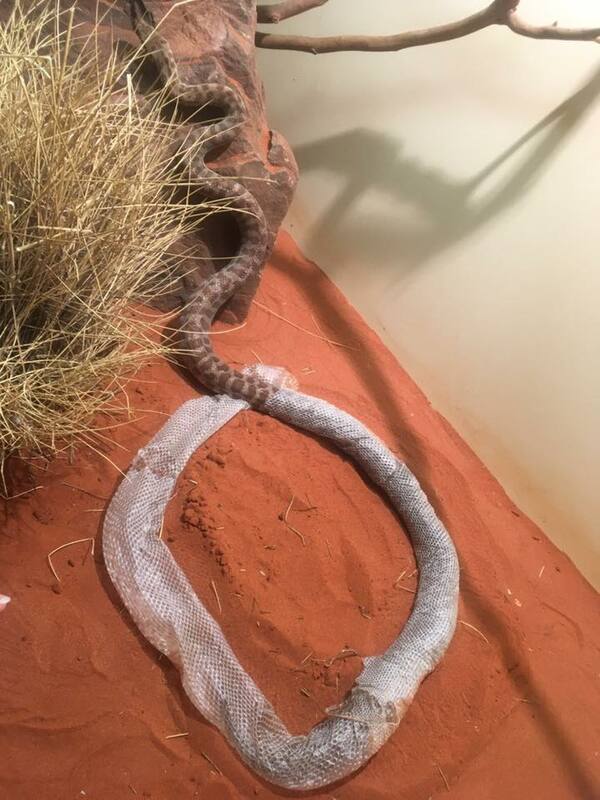 According to the Alice Springs Reptile Centre in Australia, the non-venomous snake was just going around and around inside its own skin for over three hours before it was able to find a way out. You can see the wriggling thing in action on ASRC's Facebook video feed.